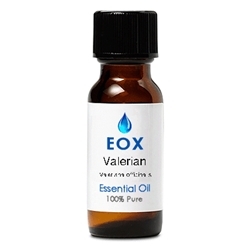 Widely known for its sedative properties Valerian has a long history of treating insomnia and other nervous tensions. Calming, grounding, relaxing, and balancing Valerian can improve sleep quality, calm gastrointestinal troubles, reduce heart palpitations, protect the skin, reduce nervous disorders, lower blood pressure, stimulate cognitive ability, calm anxiety, and alleviate menstrual cramps. Hippocrates, the father of western medicine suggested Valerian root as a remedy for treating insomnia and depression. Interestingly, some versions of the Pied Piper story tell of him using valerian to lure the rats from the city, along with his famous pipes of course. A pale yellow to green yellow liquid with a warm, woody, balsamic, musky, astringent scent. It blends well with cedarwood, lavender, mandarin, patchouli, petitgrain, pine, rosemary. spikenard. Externally the oil is relatively non-toxic; it can cause acute local irritation and possible sensitization in some. Use in dilution only with care, in moderation.